A trip to the magical islands of Hawaii would not be complete without exploring the best waterfall hikes on Oahu. Unlike some of the other islands, Oahu does not have areas that allow visitors to drive up to these majestic sites. However, hiking through the lush jungle makes for an even more exciting adventure! Read our recommendations on the top 4 waterfall hikes on Oahu. Then, download our complimentary Vacation Guide to gain local insight on other fantastic things to do, places to eat, and local events to attend! Plus, find out more about our Private Homes Hawaii vacation rentals conveniently located near favorite sites and hiking trails. 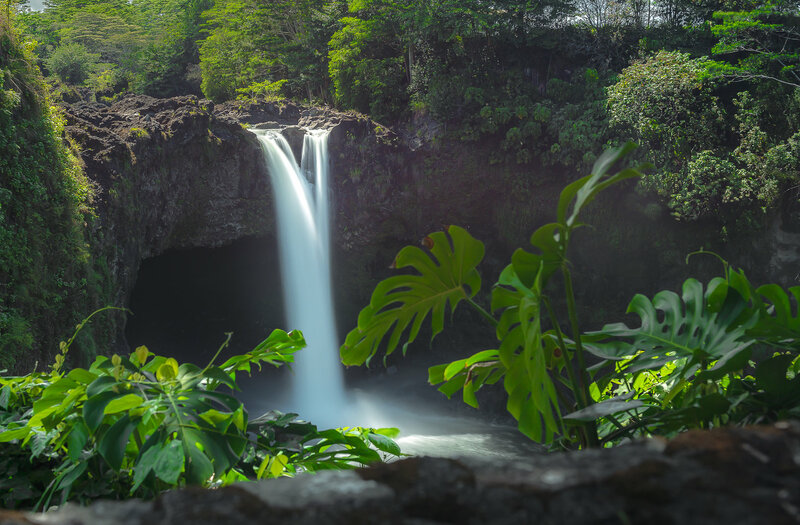 One of the most accessible spots for waterfall viewing, the Maunawili Falls Trail is located in the Maunawili Valley at the base of the Ko‘olau Mountain Range. The 2.5-mile round trip trail is suitable for families, but you will be walking through streams and mud and over knobby tree roots, so wear water shoes or sneakers that you don’t mind getting wet. When you arrive at the 20-foot waterfall, you can take a dip in the swimming hole or follow another trail to the top. Another one of the most popular waterfall hikes on Oahu, Manoa Falls is often crowded. However, this easy, beginner trail leads to a breathtaking waterfall with a 150-foot drop. Trek through the jungle to spot unique flora, foliage, and wildlife along the way. Though it is known as an easier trail, hikers should still be wary of mud and slippery rocks from the running water. More experienced hikers looking for an adventure should consider visiting Lulumahu Falls. One of the more difficult waterfall hikes on Oahu, this trail takes most people about an hour to an hour and a half round trip. Before reaching the 50-foot waterfall, you’ll hike through a dense bamboo forest and cross over streams. This trail is located on a government-owned property, so hikers are required by the Honolulu Board of Water Supply to obtain a permit before embarking on this path. If you decide to venture into this area, be sure to do some research as there are no signs to guide visitors. Another challenging hike, Laie Falls Trail also requires a permit, though it is a relatively easy and quick process. If you’re looking to trek up a difficult trail, this 7.9-mile route is for you. Hikers are rewarded with outstanding views of the surrounding mountains and a quiet, secluded swimming area near the fall. Though the fall itself is only about 15 feet, you can often spot other small waterfalls along the way. After you’ve spent the day exploring the astonishing waterfall hikes on Oahu, return to one of our fantastic vacation rentals to relax. 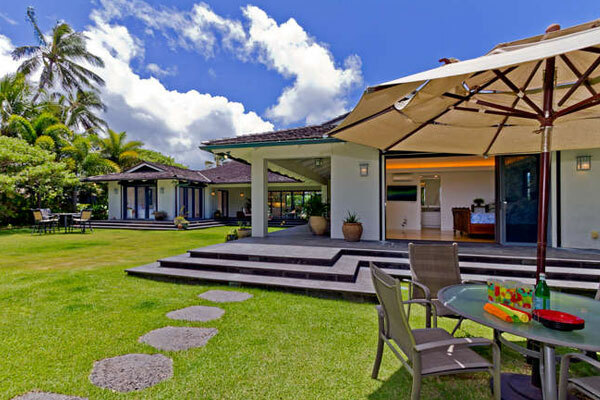 With several properties on Oahu, we’re sure to have the perfect place for you and your guests. 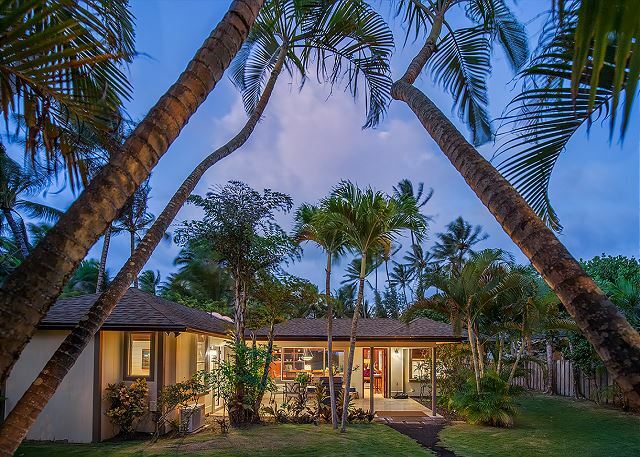 Book a stay in this Kailuana Beachfront Estate located on what is often called the best beach in the world. This property has been recently renovated and includes a lanai, or porch, an outdoor shower, and a detached one bedroom guest cottage. Wake up each morning and step outside to be greeted by the turquoise waters and soft, white sand of Kailua Beach. 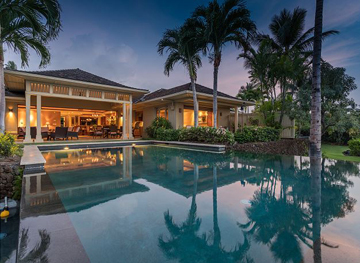 Browse our complete catalog of Oahu and Big Island properties, and start planning your Hawaiian getaway today!